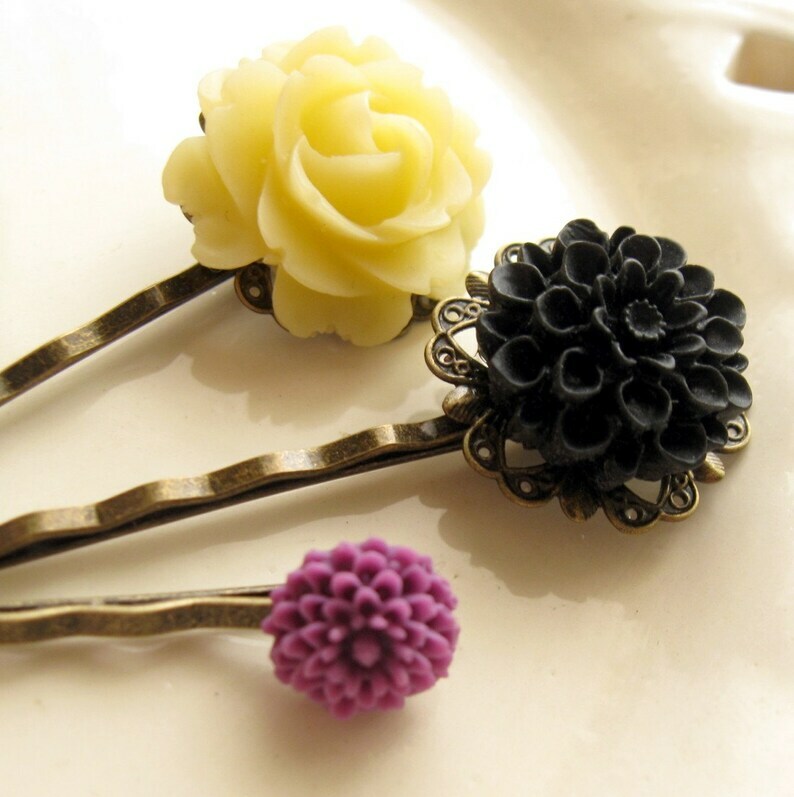 A trio of flower hair pins that you can mix and match. Three different sizes of flowers, 3 different colors. Buttery yellow, black, and a tiny bold purple. The pins are around 2.5 inches long. The hairpins are shipped in a White Gift Box with Organza Gift Bag, perfect for gift giving. My items are made with quality materials and have a 90 day warranty during which free repairs will be made if needed. Returns accepted for 7 days.